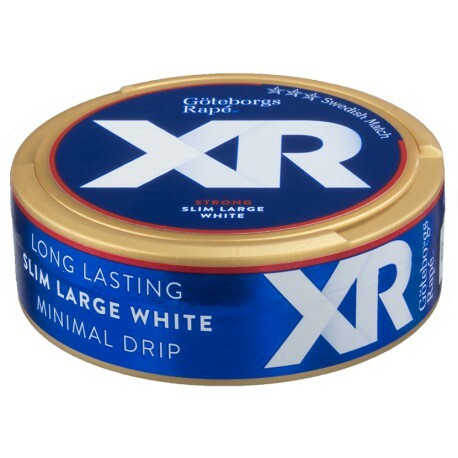 XR Göteborgs Rapé Slim White Strong Portion is a snus with a mild tobacco flavor with hints of lavender and juniper. XR Göteborgs Rapé Strong is a combination of XR and Göteborgs Rapé that has a flavor of mild tobacco,junpier and lavender. With a strength of 13,5 mg / g that makes it land on the strong category. white slim portions for a comfortable snusing experience with less drip and a nice fit underneath your lip!